author took these nice fish using tungsten jigs tipped with soft plastics. As I look out the window and see fresh snow falling, I start to shake with excitement. Finally the weather is cooling down and Mother Nature is acting like winter. 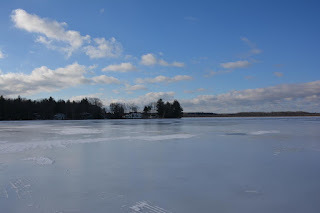 For me winter is all about ice fishing and ice fishing is a lot about first ice. First ice is the most productive and exciting time to be on hard water. Small inland lakes are the first to freeze over and here in Northern Michigan that means it’s panfishing time. During the last few years, the buzz on panfishing has focused squarely on the growing popularity of tungsten jigs. Seemingly everyone these days is making a tungsten jig of one design or another. Shapes and designs aside, the one thing we can all agree on is heavier is better. enough to support fishing efforts. Tungsten gives us the ability to fish jigs that are the same weight as lead, but only half the size. Fishing with these smaller presentation baits has proven deadly on all the common panfish species. Teaming up tungsten jigs with the latest wave of soft plastics is rapidly becoming the next big thing in ice fishing. 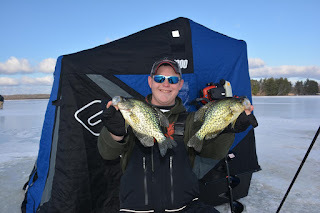 Ice fishing plastics are designed to imitate the very aquatic insects, small minnows and crustaceans panfish thrive on. Even better these plastics come in a host of fish attracting colors that work well in clear, stained and cloudy water conditions. In these final days before safe ice forms, take a little time and get your gear organized. Stock up on some tungsten jigs and plastics, spool fresh line onto your reels, check your shelter and patch any holes from last year. Get your propane heater serviced and make sure your ice fishing safety gear is updated and ready. 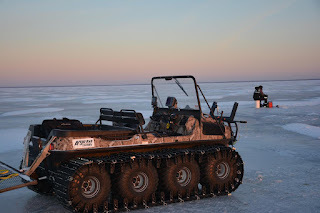 First ice is a magic time, but unfortunately the best fishing only lasts a few weeks. Get organized, get out early and get out often. The fishing on first ice more than makes up for the hype. in the first few weeks of winter. You’ll be glad you did.